While we cherish our Mill House Executive Chef Jeff Scheer, we recognize the extraordinary talent Maui has when it comes to chefs, each with their own skills and signature styles. 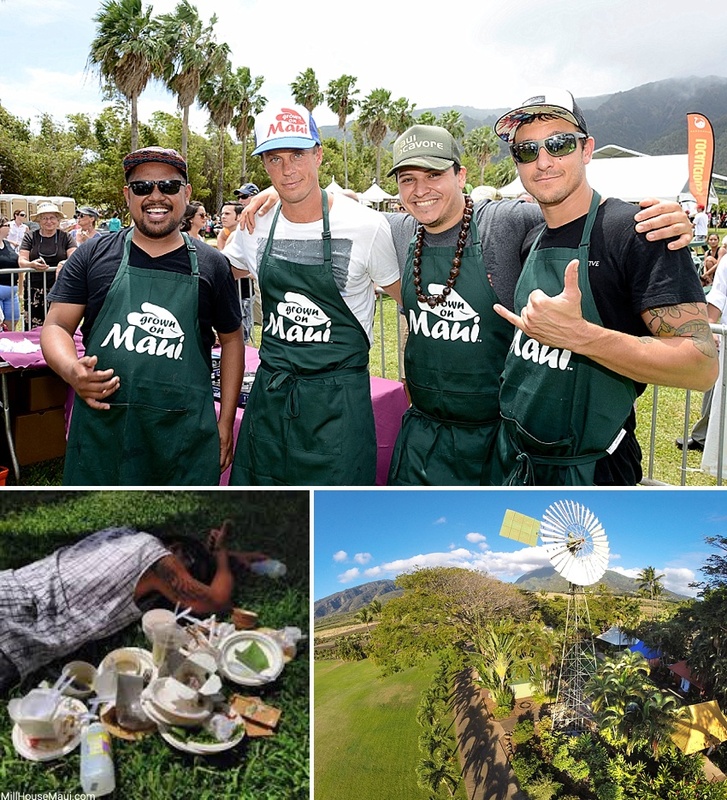 Each year at the annual Maui Ag Fest, located at Maui Tropical Plantation on Saturday, April 2nd, a handful of the most renowned chefs come together to compete in a group challenge, dubbed the Chefs' Challenge. We highly recommend sticking around for this event, and can't wait to see their creations! 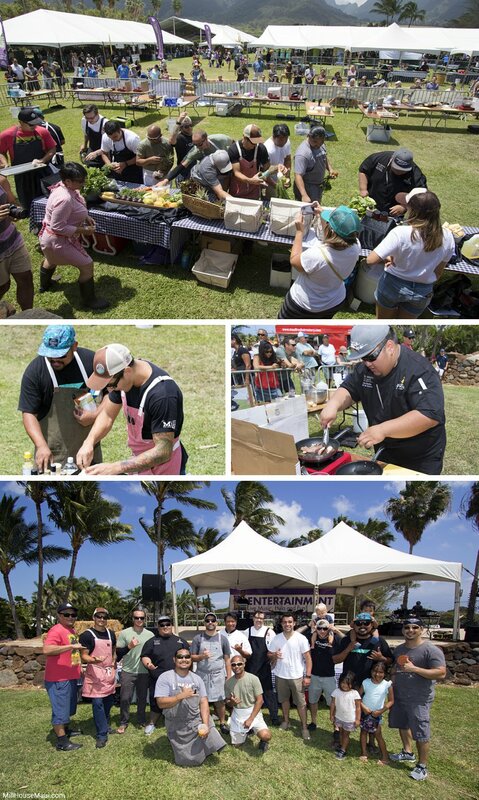 Sponsored by Edible Hawaiian Islands Magazine, the 3rd annual Live Chefs' Challenge will feature 12 local chefs, who will draw knives and split into 3 groups of 4. Working together using ingredients from a Whole Foods Maui mystery box, each group will prepare dishes to be judged individually, with the most cohesive team presentation winning the top honors. The event is free for all Maui Ag Fest attendees, and is happening between 12:30 and 1:30pm at the Main Stage. Winner of the 2015 'Aipono Awards Chef of the Year, The Mill House's own Executive Chef Jeff Scheer has changed the face of intimate event dining on Maui. With his weekly multi-course Maui Chef's Table events, participation in local foodie events and ever-changing presentation of some of the best farm-to-table dishes in the state, Jeff always pushes his skills to the next level. While we hate to pick a favorite, Jeff obviously gets our vote! They don't call it #ScheerMagic for nothin', after all. Formerly of the Grand Wailea and Four Seasons Maui Resorts, Robert currently works as the Sous Chef at the prestigious Andaz Maui Resort in Wailea. Originally from California, Chef Andrade fine tuned his culinary skills at Johnson & Wales University in Rhode Island, as well as the foodie scene in Colorado, before moving to Maui. We look forward to seeing his skills in the Chefs Challenge! A former long-time chef at the Fairmont Kea Lani's Ko Restaurant, Jake Belmonte went on to become a Chef Instructor and Culinary Educator at UH Maui College's Maui Culinary Academy. With decades of local experience and extensive knowledge of the abundance of flavors that make Hawaii such a culinary hot spot, we're sure to see (and taste) great things from Chef Belmonte. Head Chef of the newly opened Hana Ranch Provisions restaurant in Paia Town, Chef Johnson is known for his love of organic, housemade specialties that highlight the importance of farm-to-table cuisine on Maui, specifically Hana-grown produce. More recently, Chef Johnson showed his support for the students of the Montessori School of Maui when he created a special 4-course dining event to help support its funding. An avid spearfisher, paddler and general waterman, it's only fitting that Chef Lofaro runs the kitchen at Humu, the only restaurant on Maui that sits atop a saltwater lagoon overlooking the ocean. Since earning his culinary chops at the prestigious Culinary Institute of America, Mike has excelled at gaining first-hand knowledge of the freshest seafood available in Hawaii, thanks to his passion and love for the ocean. Plus, his stunning dishes speak for themselves! Chef Luckey has come a long way since his first line cook job on Front Street nearly two decades ago. With extensive experience throughout the island, including restaurants like Kapalua Grill & Bar, Plantation House, Pineapple Grill and Hula Grill, as well as a few notable high end resorts, Chef Luckey has found his place at Leilani's on the Beach, with an innovative menu and emphasis on fresh, farm-to-table cuisine. Formerly of Roy's Restaurants, Chef Macadangdang (how fun is that to say?!) is now the Head Chef of his own West Maui restaurant, Joey's Kitchen. After moving from The Philippines to Maui in the early 80s, Joey is happy to bring his own take on Filipino fusion to The Valley Isle. Be sure to visit his Whalers Visit location for a taste of Asian-fusion cuisine done right, and we can't wait to see his culinary creativity come to a head at this year's Chefs' Challenge! One of the few Chefs to be born and raised on Maui, Chef Alvin Savella also spent 10 years in the California food scene building an impressive resume before returning to Maui. After starting the weekly 'Farm to Fork Fridays' at Ka'anapali Ocean Resort's Ocean Pool Bar & Grill, he was eventually promoted to his current Chef de Cuisine position at the award-winning Pulehu Italian Grill. With a passion for supporting local farmers, we expect to see great things from him at this year's Maui Ag Fest. Perhaps most recognized for his 'Fan Favorite' finish in season 10 of Top Chef: Seattle, Chef Sheldon has since made a name for himself thanks to his inventive, Asian-inspired dishes, excellent menus, and down-to-Earth approachability in the Maui food scene. Originally from the Big Island, Simeon went on to become Executive Chef at Star Noodle and Mala Wailea before opening his own restaurant, MiGRANT. This two-time James Beard semi-finalist definitely deserves attention for his amazing cuisine. Another Maui native, Gevin was born and raised on the sunny shores of Lahaina Town. After learning how to cook from his dad, Gevin went on to work at the Hyatt Regency Waikiki and attend The Art Institute School of Culinary Arts in Seattle. Japengo's stunning array of Pacific-Rim cuisine is not only beautifully presented, but one of the best places to enjoy a fine dining sushi dinner on Maui. Keep on eye on Chef Utrillo at the newly announced Maui Tastemakers Private Dinner Series. Previously named one of Hawaii's Rising Star Chefs, Jojo Vasquez is originally from Chicago, where he learned about the industry from working at his father's catering company. After training at Kendall Culinary School, Chef Vasquez moved to Maui, where he worked at the prestigious Banyan Tree Restaurant at The Ritz-Carlton Kapalua. After moving to Oahu to work at Morimoto Waikiki and appearing on Iron Chef, he is now the Executive Chef at The Plantation House. Yet another Chicago native, Chef Bannos is the only non-Maui guest Chef competing in this year's Maui Ag Fest. A 4th generation restauranteur, Jimmy has grown up in the industry and attended the same college as fellow Chefs' Challenge participant, Robert Andrade, Johnson & Wales University in Rhode Island. After studying cuisine and furthering his skills in places like Chicago, Italy and New York City, Chef Bannos won the prestigious James Beard Foundation Rising Star Chef Award in 2014. We look forward to welcoming him to beautiful Maui! We are definitely looking forward to watching the Chefs' Challenge go down and supporting Maui's team of talented Chefs. Mahalo for reading, and we hope to see you on April 2nd at Maui Tropical Plantation for the 2016 Maui Ag Fest! have you been to a live chef's challenge event? comment below!